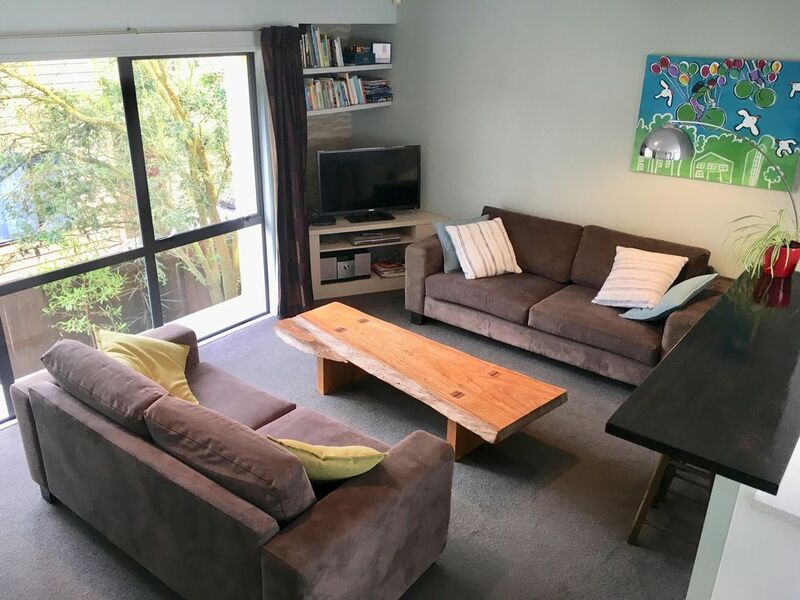 Modern, furnished, sunny and very clean townhouse in the heart of Christchurch city. Walking distance to central attractions and exploring the city in transformation. Close by includes high street shopping, river canoeing, an array of bespoke bars, cafes, restaurants, galleries, museum, botanic gardens, Cathedral Square (this is the very centre of the city, 500 metres walk, which also has a stunning brand new central library with a great cafe, free lego play and other entertainment for kids and amazing views from top floor balconies). Also a short walk away, is a huge, award winning free adventure playground. New NZ flagship Hoyts luxury EntX cinema complex just opened, a short walk away. The apartment suits couples, friends or family groups. It is secure and set back from the street. Smart TV (including Netflix and Lightbox), unlimited fast wifi, local roasted coffee and tea, fresh milk for your arrival. *Baby equipment available (cot, bedding, some toys, gate, high chair, bath). Ground: auto door double garage with internal access. Laundry area, access to own private courtyard with outdoor furniture. 3 basic bikes and helmets suitable for use around city centre. Level 1- open plan living with 2 sofas, and fully equipped kitchen including dishwasher and espresso machine. Opens onto balcony. Guest toilet also on this level. (Note: small 2 seater kitchen table, larger one outside for warm days). Family bathroom on this top level with shower, bath, 2nd toilet, heated towel rail. We want you to have a great stay in this city and are happy to share our insiders' tips and practical information with you. We are relatively new to this site but have consistently great reviews (maintain a 5/5 star average, with 'superhost rating' on another well known site, please check them out. $200 bond. No smoking. No parties, no guests without prior approval. Local recycling rules are to be followed. This is a peaceful apartment block with families and working people. If our neighbours complain about noise or lots of visitors your bond will be forfeited. If in any doubt please discuss prior. Please keep the apartment clean during your stay and leave in a respectable state. We sanitise to a high standard between every guest, but require guests to tidy up after themselves before check out as we don’t charge a full cleaning fee. Extras: Linen/preparation (NZ$25 per stay); NOTE: Under Kiwi bach tradition you are expected to: Tidy the house, clean the kitchen and do the dishes, take out rubbish etc before you leave (easy to follow check out checklist provided). Only in the courtyard outside, with doors closed. Fabulous accommodations- spacious, clean and stocked with everything you could possibly need. Great location was very quiet and walking distance to central Christchurch. Owners were super responsive and easy to deal with. The many extra touches - milk in the fridge, local menus, maps etc were very much appreciated. Would definitely recommend and stay here again. Lovely unit exactly as described. Clean comfortable and well supplied with everything you need. Good location. Fantastic location for a family holiday. We were so impressed with our accommodation, it is so close to the central city and having a car park really helped. The place was very clean and tidy, everything we needed was there and we loved all the helpful information that the owners had left for us. No problems with anything and I would recommend it to a family or a group of friends. An added bonus was the tv with Netflix! Very handy walking distance to Margaret Mahy Playground, and the local cafes are also very good. Wonderful. Suited us perfectly. Very clean, well organised, with very clear instructions. So close to town. Very friendly and helpful hosts. Great stay thank you! This is a very nice, close to the city located property. The appartment is clean with good instructions on how to use everything along with relevant and practical tourist information. Unexpectedly there was packets of herbs/spices, spreads and other goodies in the pantry/fridge. We have enjoyed our stay here. Very clean and tidy apartment, well equipped. Excellent communication with hosts throughout.